Treat yourself to live theater while you’re here! Live theater adds so much to life! A half hour away are lots of live theaters options. 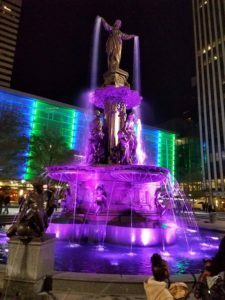 Cincinnati is a great location for theater lovers, with many community and professional performances offered year-round. Cincinnati Symphony Orchestra and the Pops are world renown. Historic Music Hall is worth the price of a ticket just to visit. Take a few minutes to see what’s playing while you’re visiting. Prices range from $20 at the smaller community theaters to hundreds at the Arnoff for touring Broadway shows. Some of our favorite restaurants near the theaters are mentioned here. Buy tickets online or call the day of the show to see if anything is still available. If you didn’t bring any dressy clothes, don’t worry. While it’s nice to dress up a bit, not even elegant, historic Music Hall has a performance where jeans are prohibited. The Know Theater – Hidden away on a short little street in downtown Cincinnati, The Know https://knowtheatre.com/ offers mind-challenging productions, an annual improv festival, a little underground bar and always friendly greetings before non-traditional, thought-provoking shows. 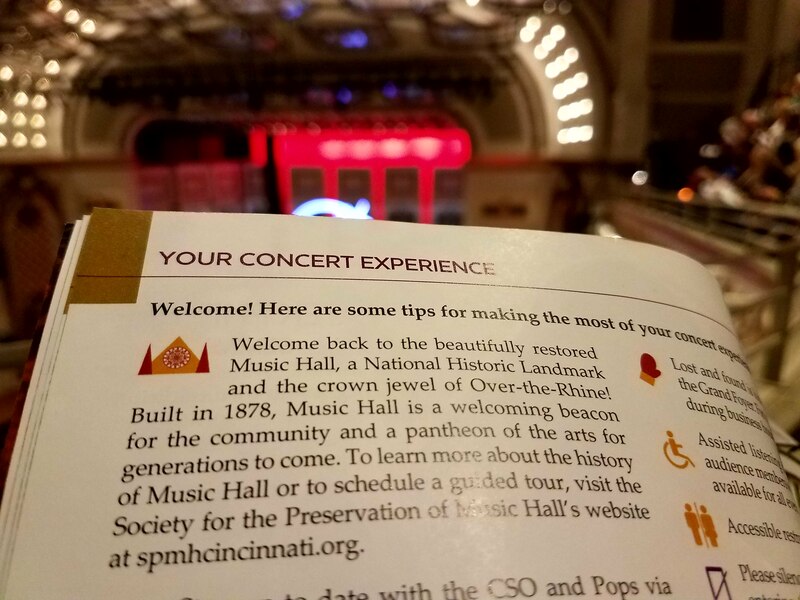 Cincinnati’s Historic Music Hall was renovated in 2017. Cincinnati Shakespeare Festival – In a brand-new facility opened in 2018, Cincy Shakespeare https://cincyshakes.com/ does lots of shows in addition to Shakespeare. Lots of trendy restaurants in the booming revitalized Over-the-Rhine area just north of Cincy’s downtown, or hike to the Senate or Washington Platform for more traditional food options. Playhouse in the Park – Cinci’s long established theater https://cincyplay.com/ is next to Eden Park in the Mt. Adams neighborhood. Go early and eat at one of many nearby restaurants so you don’t have to worry about parking. Free parking is at the bottom of the hill and along the street. Taft Theater – This historic theater http://tafttheatre.org/ was renovated in 2016. Balcony seats are still cramped and hot. They offer a huge variety of shows, comedy, music, Children’s Theater and dance. Right downtown, hike the P&G gardens, see the fountain, visit the Taft Museum a few blocks away, before your show. Warsaw Federal Incline and Covedale Theater – a little further away on the west side of Cinci, are operated by Cincinnati Landmark Productions. http://www.cincinnatilandmarkproductions.com/ccpa/ Be prepared for a steep drive up to the Incline, but a spectacular view of downtown Cinci from the west. Across the street is Incline Public House restaurant https://www.inclinepublichouse.com/ with incredible views. It gets really busy before shows and doesn’t take reservations, so arrive really early. Put your name in, hike around the park, stand around the firepits and relax. Parking under the fountain in Cincinnati is convenient for the Aronoff. oductions. https://www.cincinnatiarts.org/aronoff-center Buying tickets thru Ticketmaster increases prices by $12-18 per ticket. Head downtown, buy a ticket there, then hike around. See the “Our Lady of the Waters.” Eat at Amol, the Indian restaurant a few blocks away, or one of many new downtown spots. Park in the lot under the fountain and you’ll just be a block away from the Aronoff.